Chic Alert: CAPITAL-L Final Summer Clearance! Last reductions on all summer pieces, still many finds - Alice McCall jeans and dresses, Karen Walker camis, Lover, Elissa Coleman (lucky dress pictured was $330 now $190), Cohen et Sabine, Willow, Natasha, Nicola Finetti, Marnie Skillings, Michelle Robinson, Stephanie Conley and International Labels ppq, Robert Cary Williams and Camilla Staerk. From $20 and nothing over $350. 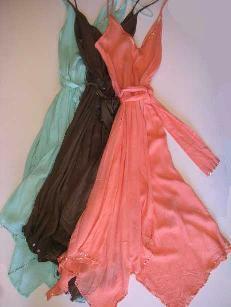 Also on sale for the first time, a large selection of vintage dresses for $40 - $80 and tops for $20. Bring your boyfriends for deals on skinny jeans by Material Boy, Mjolk and Flux, Mjolk jackets, Farage tux shirts $80, and heaps of tees for $40. I just got this email from Capital-L sounds fantastic hey!!! GET IN QUICK, GUARANTEED TO SELL FAST!!!!!!!!!!!!!!!!!!!!!!!!!!! !